With its Plantastar range, LEDVANCE offers products that have been designed specifically for use in commercial greenhouses to encourage healthy growth in plants. The most powerful version yet is now going into production in Berlin and Wipperfuerth – the Plantastar 1000W Plus. Like other lamps in the range, it is destined for greenhouses in the Netherlands. The Netherlands is among the world’s largest exporters of fresh fruit, vegetables, and flowers. Tomatoes, roses, and of course, tulips – the variety of products is enormous. Compared with countries like Spain and Mexico however, the Netherlands is at a serious disadvantage in that it gets much less natural light. In the winter months in particular, the amount of natural light in the Netherlands – as in many other parts of the world – is not enough to allow plants to grow. Whereas a sunny summer’s day provides around 100,000 lux, a winter’s day barely makes it to 10,000 lux, which means that additional lighting is needed for all-year-round production. The growing season for tomatoes, for example, is normally from June to September. 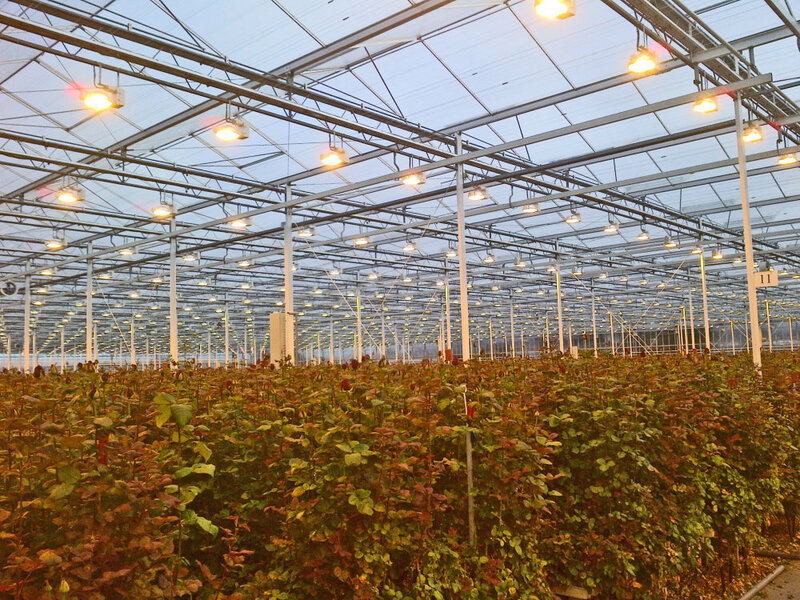 The right artificial light is a crucial production factor for professional growers. The key here is photosynthesis. Almost all life on Earth depends on it. Photosynthesis is the process by which plants use sunlight (or its substitute) to convert carbon dioxide and water into energy – or glucose and oxygen to be precise. As a rule of thumb, one percent more light results in one percent increase in yield. Light therefore has an enormous influence on the quality and quantity of the harvest. Consequently, the demand for reliability of the light is equally high. This is where LEDVANCE comes into play with our Plantastar range, which includes lamps with different outputs tailored to different plants. The most powerful version yet, the 1000W Plus, is now going into production in Berlin and Wipperfuerth. 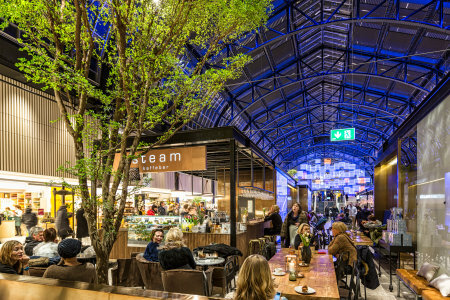 It had previously been tested in the region near the town of Monster, south of The Hague, where commercial greenhouses have made a major contribution to the local economy since 1900. “One 1000W Plus Plantastar lamp will illuminate an area of around ten square meters in a greenhouse”, said Karen Twesten who has been working in product and process development in Berlin since 1989. Since September 2015 she has been the developer responsible for Plantastar 1000W “Standard” and “Plus”. Her work so far has concentrated on developing a stable process for manufacturing the lamps and on training her colleagues at the factory. Last fall, Karen and Johannes Buttstädt, Project Manager for the new 1000W Plantastar Plus, visited the pilot installations in the Netherlands for the first time. “I must say I was mightily impressed – by the size of it alone!” Karen said. From just one square meter (~10 square feet) it is possible to harvest 60 to 100 kilos (130 to 220 pounds) of tomatoes per year. Growers cannot simply use any lamp because different plants have different lighting needs. They require different wavelengths for optimum growth. Ivy, for example, likes shade, whereas cacti and any plants that grow naturally around the Mediterranean, on mountains, or in savannas need lots of light. Plants need the right level of “photosynthetically active radiation” (PAR) for photosynthesis and plant growth to occur. 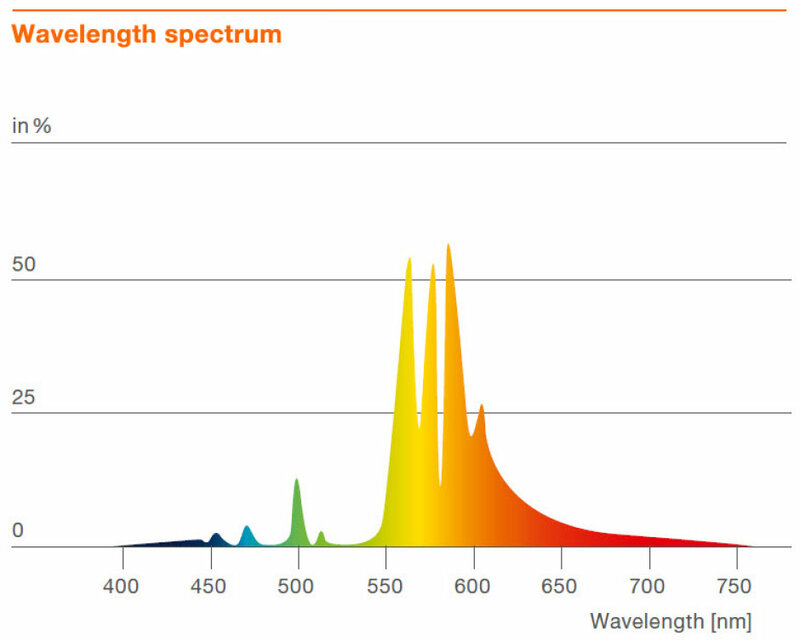 In other words, the wavelength of the lamp must be optimized for the type of plant being grown. In a large greenhouse covering ten hectares (about 25 acres) there will be 10,000 lamps each rated at 1,000 W, so one megawatt of electrical power is needed. Some very large greenhouses have their own gas turbines to supply power. Karen Twesten said: “The waste heat is also used to heat the greenhouse in winter, and the carbon dioxide is fed to the plants. The tomato plants, which are illuminated by the 1000 W Plantastar lamps, are pollinated by humble-bees. And there are separate companies that breed bees for this purpose, as well as companies that only produce seeds and grow young plants.” It’s a system that works well and has an established infrastructure.